There are dresses that cannot go unnoticed, like this two-piece effect design in tulle and lace. 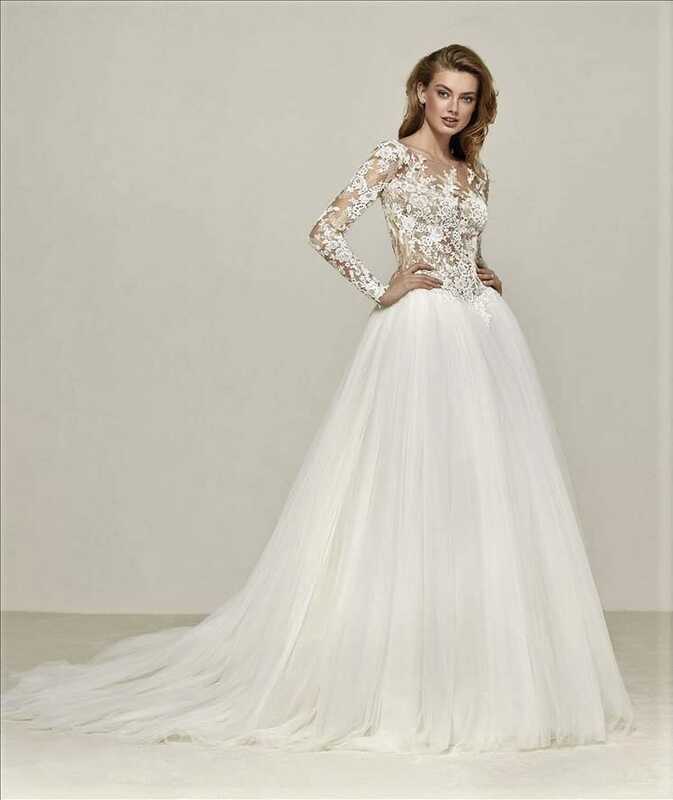 The full drop-waist skirt with tulle layers is fitted at the hips and leads to a bodice filled with transparencies and appliques, that depict magnificent floral motifs both on the neckline and long sleeves. A very special dress for a very special bride. A stunning dress that needs to be seen to be appreciated. Dress comes with a matching cathedral length tulle veil and a corset for under the bodice should you wish the dress not to be totally sheer.